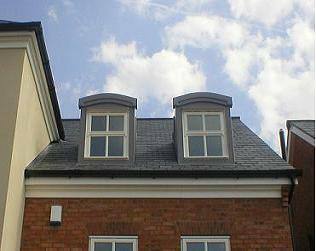 Our GRP (glass reinforced plastic) has fast become one of the most popular methods of manufacture for Dormers. Manufactured in either general purpose class 3 rating or to class 0 fire retardant of BS476. 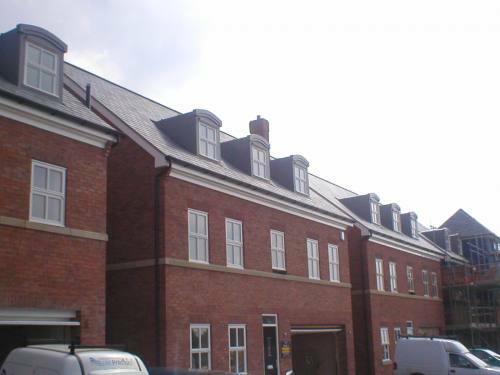 A variety of surface textures can be manufactured and an unlimited colour range available. 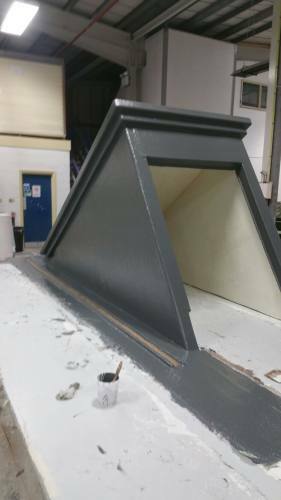 GRP dormers can be insulated with foam or encapsulated timber studding which enables the builder to self-insulate and fix internal lining. 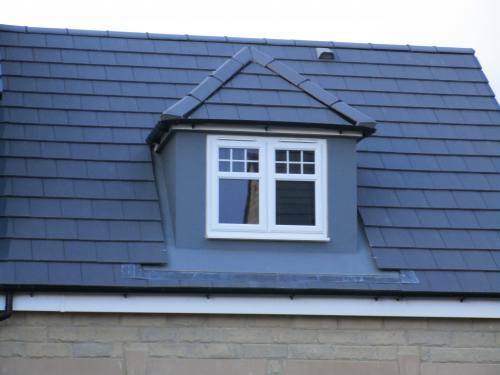 Our GRP dormer windows can easily be fixed to roof trusses prior to roof covering, a grp self-draining fixing gutter is incorporated. 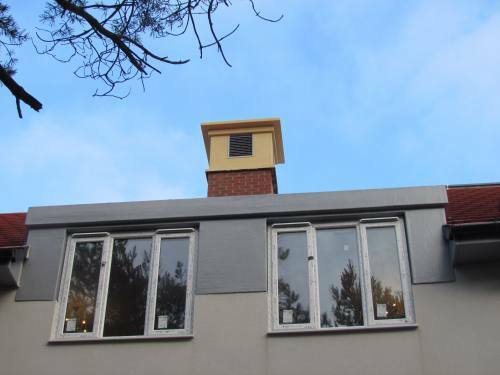 The advantages of using GRP Dormers and Roof structures other than conventional building methods is mainly time saved when installing the GRP units. This allows you to close off open roof spaces quickly, which is always an advantage in our wet climate. Considerable cost savings can be achieved when multiple units from the same tool are used. 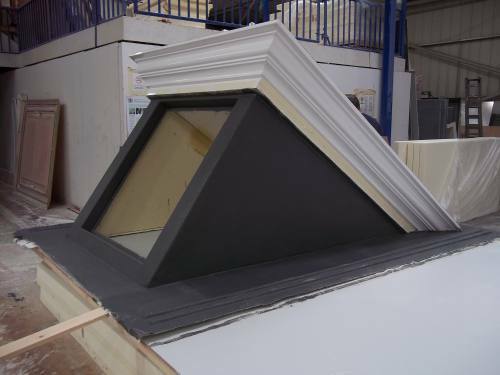 If you require a GRP dormer then get in touch. When I choose a contractor, I will definitely remember to make sure my insurance works before signing anything. prateshi@gmail.com please advise if any USA California availability now and can these be added to an existing roof? We are based in the UK. We could look at shipping cost for you. 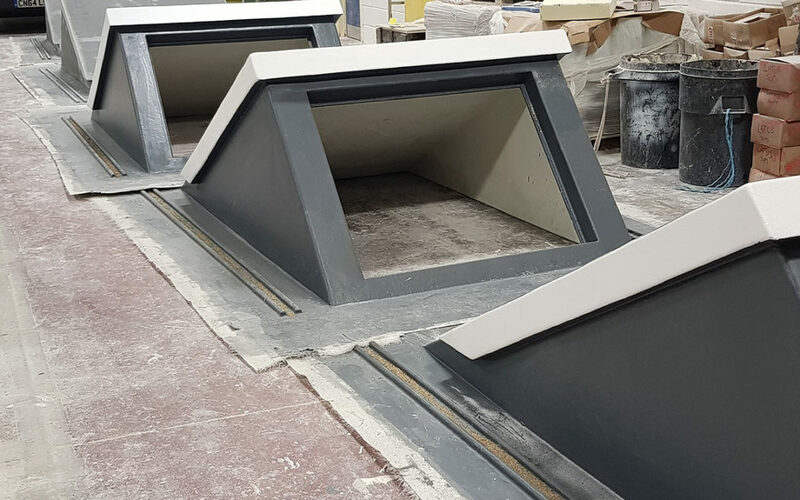 We make them to order so would need to know pitch angle and full dimensions and window size. 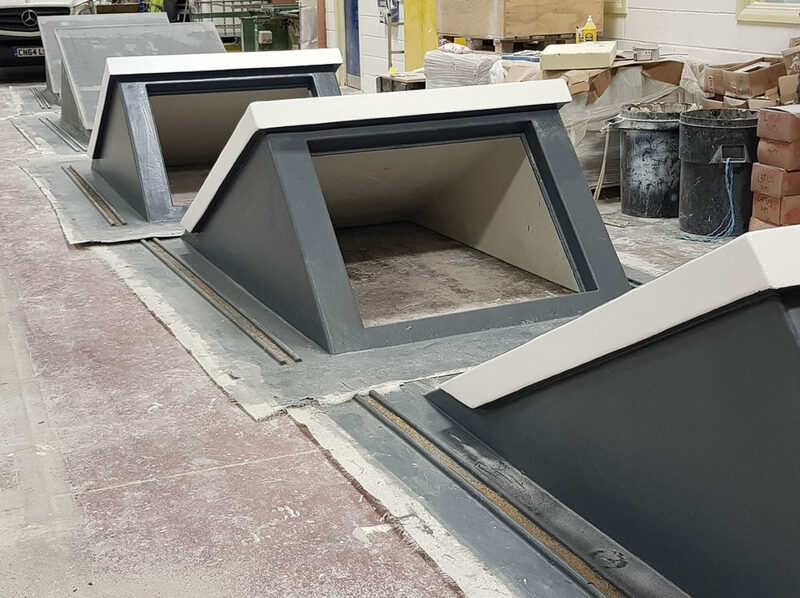 You can add these to an existing roof.